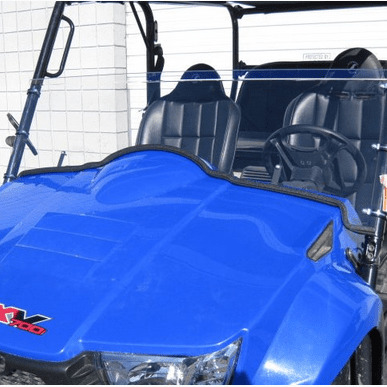 Whether you use your Kymco UXV for work or play, a windshield is a great addition to this work horse. 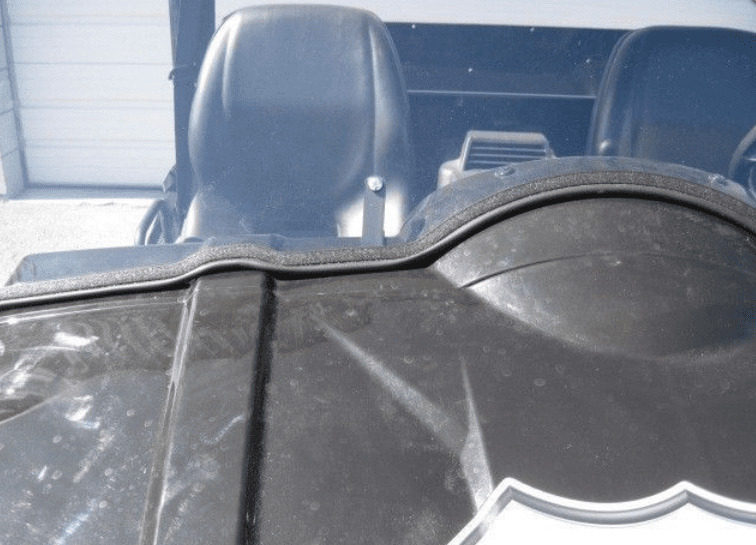 A full windshield offers protection but the summer sun can really heat things up in the cab and it can be difficult to clean when you're in the middle of a ride. 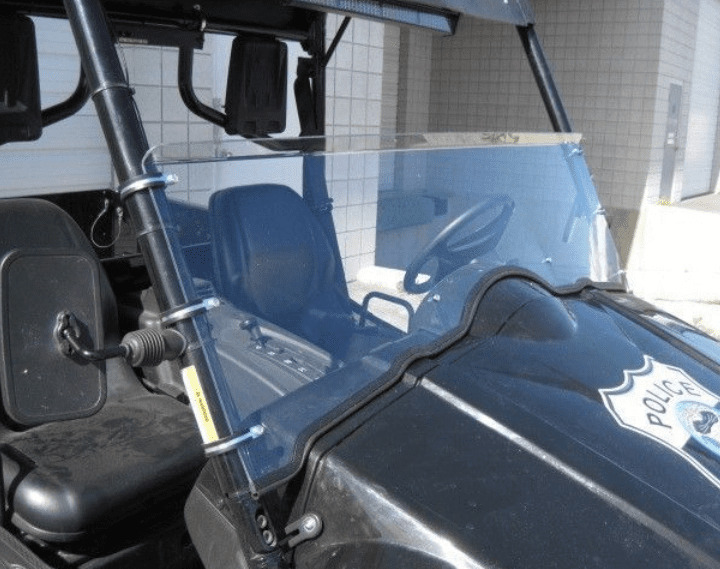 That's why Side By Side Stuff offers the Half Lexan Windshield by DaBomb Windshields because it allows air flow into the cab to cool you down, still protects you and your riders from flying mud and debris, and won't hinder visibility if it gets dirty. 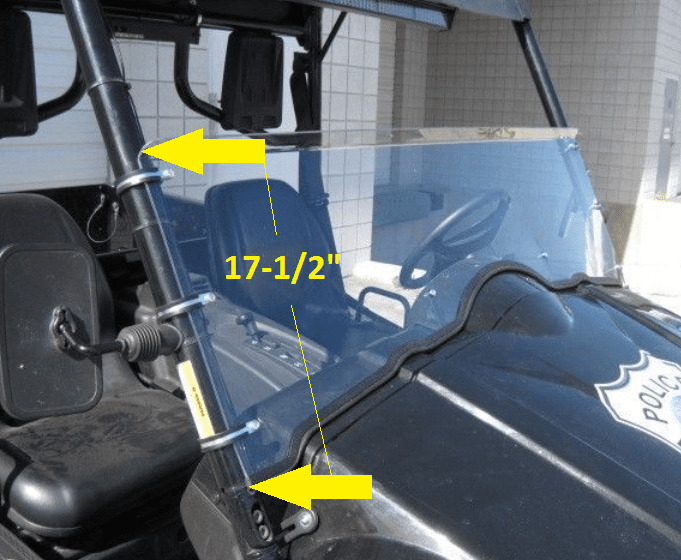 DaBomb Windshields are made with Lexan, a polycarbonate material, so it can hold up to even the roughest rides. 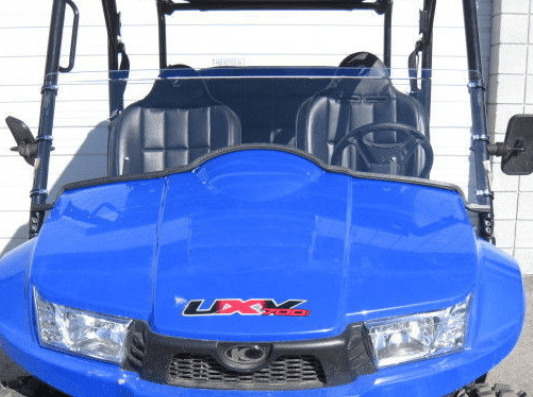 Each windshield is designed to fit the contour of your machine so it fits tight against the body leaving no gaps. 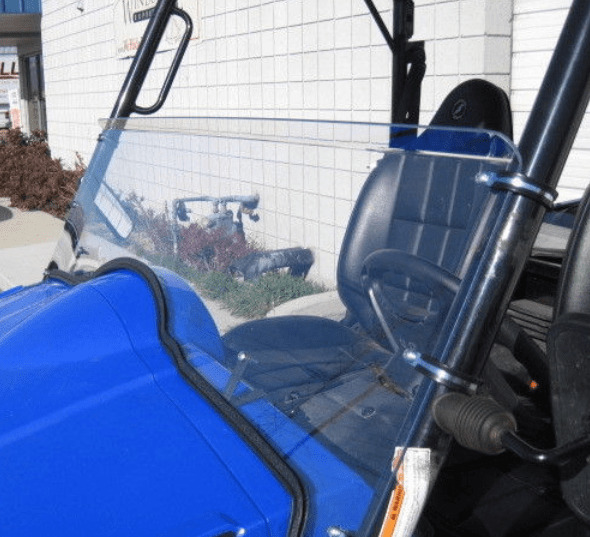 Made wider than most windshields, the windshield overlaps the roll bar by half on both sides, making it more rigid. 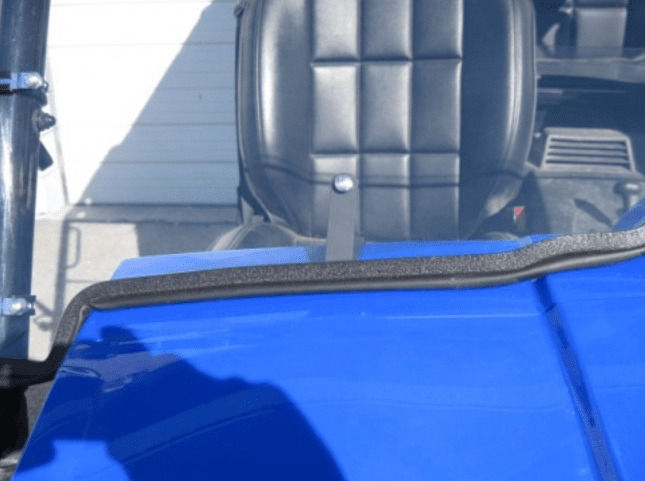 Installation is easy and requires only the use of a screwdriver and wrench so no drilling is required. 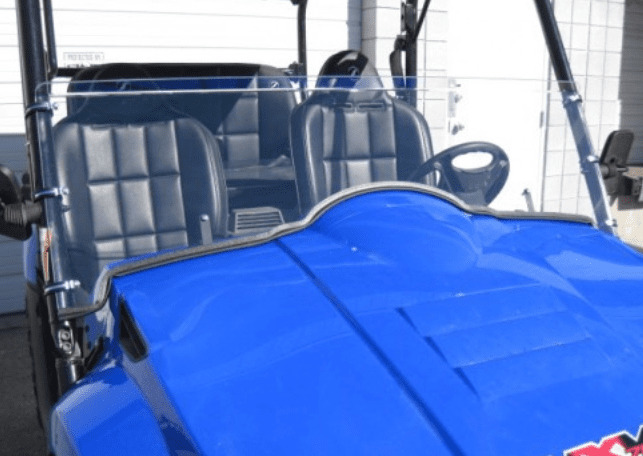 Hard Coat Option: Lexan, though impact resistant, is highly susceptible to scratching and even cleaning it incorrectly can scratch the material. 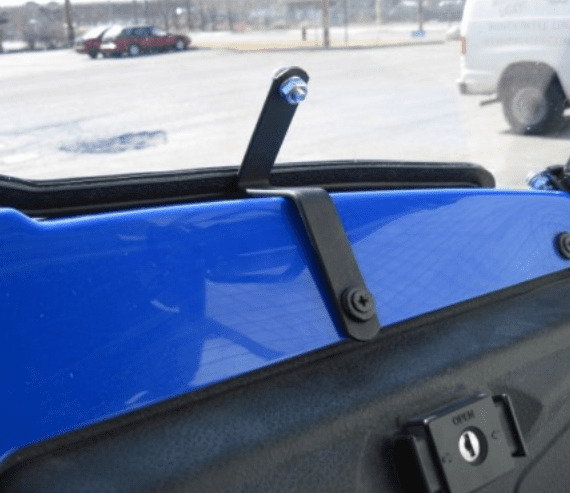 The MR-10 hard coat option covers both the outside and interior of the windshield, prevents scratching and lengthens the life of your windshield. 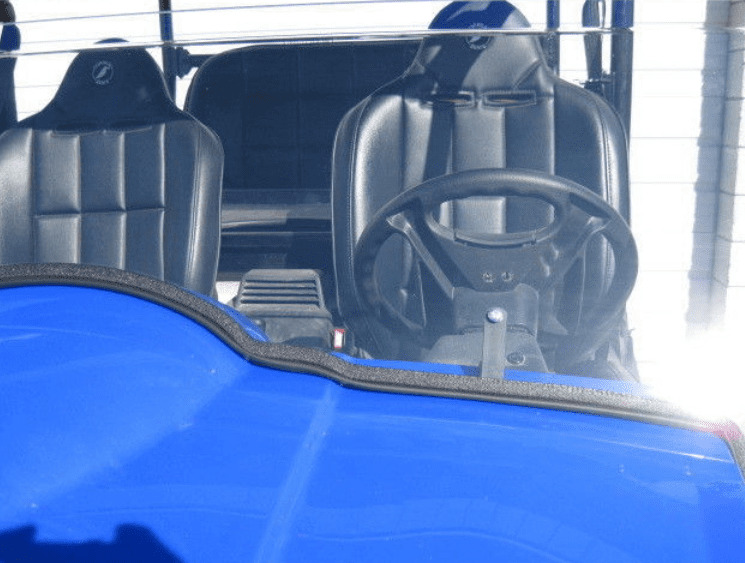 It is also 1/4 inch thick versus the non-coated that is 3/16 inch thick. Shared Shipping Program: You pay $25.00 shipping/handling, and Side By Side Stuff will pay the rest!